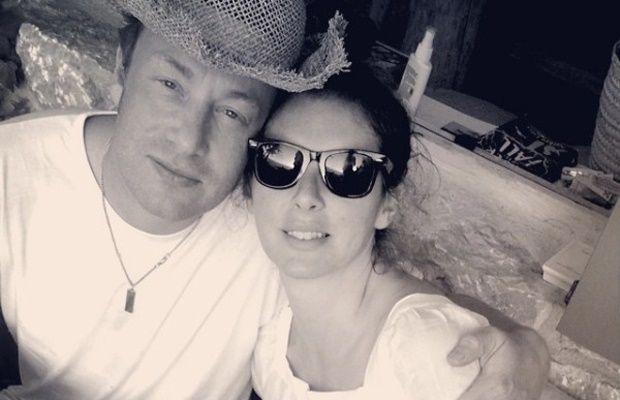 Jamie Oliver welcomes baby #5 and it's a boy! The famous chef welcomes his son and daughters cut the cord. If you've been wondering just how many kids Jamie Oliver has, let us help you out. The well-known chef has just welcomed his fifth child into the world with wife, Jools. The Naked Chef took to Instagram and shared a sweet photo of his newborn son adding: "And then this just happened guys!!! IT'S A BABY BOY!! Everyone in the Oliver family is very surprised and beyond happy." He also went on to assure everyone that mom was fine and doing well: "He arrives safely, mum/ @joolsoliver was really really amazing, unbelievably composed, natural birth and my two eldest Girls got to come in at the very end as the baby was born which was amazing to witness very very emotional". And then this just happened guys !! IT'S A BABY BOY !! ?? Everyone in the Oliver family is very surprised and beyond happy. He arrived safely, mum / @joolsoliver was really really amazing, unbelievably composed, natural birth and my two eldest Girls got to come in at the very end as the baby was born which was amazing to witness very very emotional. 8 lbs ( that's 16 packs of butter for you bakers out there) anyway were all hitting the hay it's been a long day big love... bless a little baby boy Woop Woop !!!! And love to all you mums out there how amazing you are it blows my mind .... Big love jamie o p.s no baby names yet .......???????????? And the plot thickens... Jools also shared a picture of herself breastfeeding her son with the caption: "Little baby boy Oliver has arrived we are so very happy, blessed, grateful and totally in love all over again and so very proud of our two eldest daughters who cut the cord Jamie was my hero (no name yet)!!! XXXX (sic)." Yes, she said it. The two eldest daughters, Poppy Honey Rosie Oliver (18) and Daisy Boo Pamela (13), came in and cut their brother's umbilical cord (insert shock face). Is it okay to subject kids at such a young age to things like cutting the umbilical cord or is it a norm we haven't grown accustomed to? Is this something SA parents would do?